It’s been quit some time since my latest post on digital marketing trends… and since there is a demand for this kind of stuff, I will continue to bring you the most significant information on a monthly basis. Even this post is a short one, there are some great ideas and tips inside. It’s the beginning of a new year and most people try to “predict the future of SEO“. Jayson DeMers, a contributor to Forbers wrote and interesting article called The Top 7 SEO Trends That Will Dominate 2015. Agree with Jayson or not, don’t misunderstand: SEO is not dead or dying (despite of what other “SEO Gurus” foreseen in the last couple of years). It’s just changing; content marketing and social media specialists will need specialized SEO knowledge and skills in order to be successful. Nevertheless, SEO strategies will be need to be fully integrated with the creation and promotion of content, rather than kept as a separate task. A microscope is a great research tool, but it’s an awful marketing tool. Local SEO is not and never was based upon a single tactic. Local SEO is not just citations or just Google My Business optimization. Local SEO is not just inserting your city and state in title tags and H1 headings. In 2015, you’ve got to be a jack of all trades if you want to succeed in local SEO. You can’t just bang out a bunch of citations and win. You can’t just put your city and state in a few places. You have to stop spam a few Google Places categories and be more creative – and learn a LOT more from trusted sources. And as you know, the competition for visibility in the search results is ferocious. Alongside search engine optimization, pay-per-click (PPC) can garner more real estate for your company on the results page – and if you’re not there, your competition surely will be. Let’s take a look at a few stats that highlight why PPC is a channel to consider in 2015. First, if you’re already focusing on SEO, why not take it to the paid side as well? Data shows pay-per-click has a positive impact on organic click-through rate in many cases. One of the reasons PPC is so straightforward is because you know exactly where your dollars are going, and you only pay when an interested party clicks on the ad. PPC can show results fast. You can start a PPC campaign on Monday and literally start seeing results in terms of traffic and conversions the next day (depending on a variety of factors, obviously). But, on the other hand, there are three things to watch for before you’re starting PPC. In case you don’t notice, Twitter caused quite a stir a few months back when it unveiled its analytics platform. Twitter Analytics offers a bunch of data we’ve been dreaming about getting hands on for long years. There are a lot of articles out there telling you the best time to tweet and the perfect type of tweet to encourage engagement, but Twitter Analytics shows us anything. Take a long, hard look at what tweets are resonating with your audience and build on that. Want more about using Twitter Analytics? Read Five Ways Twitter Analytics Can Make You A Better Marketer. Are you a Facebook fan? Here are 9 Brands With Brilliant Facebook Marketing. There have been a lot of questions about Facebook lately: are people still using it or is it on the decline? Can businesses still find it valuable? Not to mention their latest outage (yeah, due to a major snowstorm that hit the Northeast – really? Was Google down ever for the same reason???). There are dozens of other rising social networks out there, but let’s be honest, Facebook really was the game-changer. Facebook appeals to its users because it provides real-time information but with a deeper feel. Facebook takes engagement to a deeper level than other networks can. Since you aren’t limited by character count or to just sharing images, you can really say what you want to say. With millions of brands on Facebook, how can you make yours to stand out? You don’t have to be Nike or Microsoft to be successful. And here are 15 Great Facebook Business Page Examples You Have to See. No matter if you’re an entrepreneur, small business owner, or working at a larger company, you know that social media is a necessity. It’s a challenge to keep up with monitoring every social platform. Instead of getting overwhelmed, why not make your life easier by using tools to schedule, share and monitor all the content and activity that you’re interested in? But what should you be using? Here are five of the most reliable and effective tools in managing my social media needs I have found. I know: you are looking for blog post ideas! How would you like some direction to inspire your editorial calendar? Though it may be challenging to come up with new blog post ideas, there’s a lot you could write about. Blogging for business has countless benefits, I do not intend to post them here. But hey… blogging it’s a great platform to offer expert advice and insights about your company or offer. 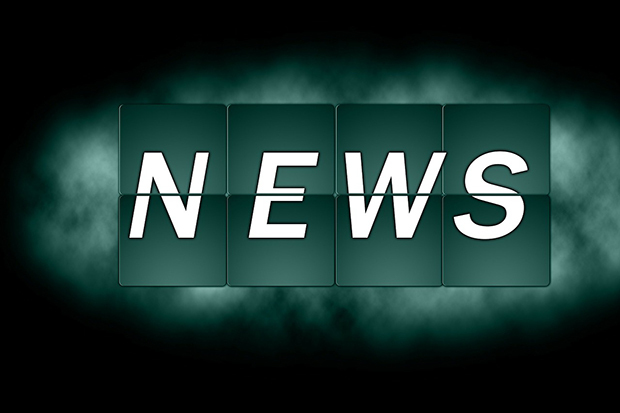 A business blog also gives you content and links to share on social media. What do you think? How do you generate ideas for your blog? What types of posts do you write? Which posts do your readers respond to most? In this article you’ll find 10 ideas to inspire your business blog content. In great connections with blogs are infographics. Infographics are great for helping users digest information much more quickly and efficiently. But what if there is too much content? Or if the subject requires information to be personalized for the user? This is where interactive infographics come in. Read a guide to interactive infographics which explain how a more reactive infographic can not only help convey information better but also make the reader feel more personally involved. Will anyone actually want to watch it? There’s obviously no point in creating video for video’s sake. The only way to find out is to test different ideas and formats. And if you’re still in the search for content ideas, try 7 Books That Will Inspire More Successful Content Marketing. The seven books outlined in this article complement essential content marketing guides like Joe Pulizzi’s Epic Content, Jay Baer’s Youtility and Andy Crestodina’s Content Chemistry. Though they offer a narrower perspective than the above books, they compensate by going deeper into specialized topics that are essential for successful content marketing – things like creativity, presentations, productivity and visual thinking. Individually, each of these books can make a major contribution to the content marketing experience you, or your team, must deliver on a consistent basis. But together, they create a library that can inspire and energize. Surprise, surprise… for the first time on my blog, we’ll deal with startups and growth hacking. Please allow a short presentation. I’m talking about startups because of Steve Blank and his Lean Startup class. I took his class a few months ago and get fascinating. And I found yesterday a great article that summarize what I did: Steve Blank’s “Lean Startup” Works Brilliantly, Even If You’re Building Robots. Over 10 weeks, Blank’s class – which he teaches at both Stanford and Berkeley – walks its students through a practical implementation of his famous lean methodology. Come up with concept for a product. List out all of their core assumptions about the market for it. Go into the market to test those assumptions by talking to potential customers, suppliers, vendors, and technologists. Take what they learn and pivot their concept until it resembles something the market wants, keeping lines of communication with customers going at all times. Get the MVP into customers’ hands as quickly as possible. One last thing here: the word “lean” is everywhere these days. Eric Ries, author of The Lean Startup has become the face of this movement, but its philosophy is based on the Business Model Canvas – a tool developed by author and entrepreneur Alexander Osterwalder and Swiss academic Yves Pigneur. The early stage of this process involves building a Business Model Canvas. On a Business Model Canvas you draw a large grid and list out every single core assumption you’re making about your product and the market you’re going to sell it to. 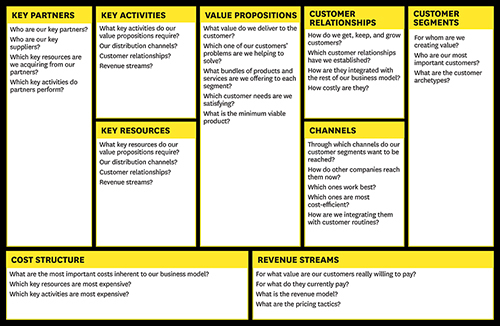 Extremely simple in its design, the Business Model Canvas empowers entrepreneurs to create, visualize and test business models without wasting capital or overcomplicating their approach. What are you going to be selling? To whom, exactly? What is your value proposition for them? 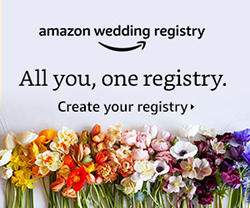 Why would they buy it? Who would be the key partners? What about vendors and suppliers? Today, it’s used by startups to break new ground, as well as big companies to explore new models and keep up with the competition. It’s also the core of the book Business Model Generation (co-authored by Osterwalder and Pigneur), which has sold over a million copies in 30 languages. At Stanford’s Entrepreneurship Corner, Osterwalder and Steve Blank demonstrated the value of the Business Model Canvas for startups: how they can use it to generate ideas, de-risk guesses, and make sure they are solving the right problems for the right people. I don’t want to spoil your curiosity, so check the excellent article by Dan Kaplan on Medium and The One Tool Startups Need to Brainstorm, Test and Win. Now what it is and How Growth Hacking Is Redefining Marketing? At its core marketing remains simply lead generation. Regardless of what you are marketing, or how you’re doing it, the goal is to drive awareness, demand, and sales. Anything that can be used to achieve this demand is called marketing. If you’re not already familiar with the concept, according to Aaron Ginn, a growth hacker is someone whose focus and passion pushes a metric using methodology that is both scalable and testable. Ginn points out that growth hackers will leverage multiple disciplines to extract insights and identify the right messages for pulling in users. His goal is to find a method that works and lead with it. This might prove to be traditional methods of marketing, but more often it involves thinking out of the box and identifying innovative ideas for capturing a target audience’s attention. StartupMarketing points out that the primary difference between growth marketing and traditional marketing is that growth marketers do not take the time to strategize a marketing plan. Instead, they test to find something that works. Very interesting ideas, right folks? A venture capital firm, Andreessen Horowitz, has invested in some of today’ most talked-about startups, including Slack, Buzzfeed, and Instacart. Andreessen Horowitz knows the pulse of what’s happening in tech startup world. They shared some trends and themes they’re excited about this year. Here’s their predictions for the 16 startup themes that will be big this year. Say “Good Bye” to Google Glasses – For the Moment! If you’re paying $1,500 on Google Glass, you’re not alone – but don’t cry. Google Glass is pulled from the market and the project was spinning out of Google main frame to exist as a standalone project. Former Apple executive and Nest founder Tony Fadell is now overseeing the project. I hope the current version of Google Glass will continue to work, but don’t expect official software updates. To be honest, the future of Glass rests in capable hands. But Microsoft start to capitalize on this with Project HoloLens. 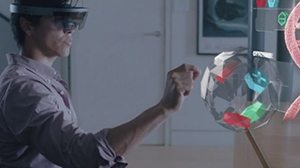 HoloLens is Microsoft’s foray into the virtual reality market. Microsoft has developed goggles that offer an augmented reality experience. Unlike Facebook’s Oculus Rift, which completely blocks out the outside world to fully immerse the wearer in another reality, HoloLens keeps one foot (and both eyes) firmly planted in the real world. I see a bright feature in this industry over the next 5-10 years.